Women’s Artistic Gymnastics is the most popular and well known to the public of all the gymnastics disciplines. It is an incredibly challenging sport, demanding strength, power, flexibility, agility, courage, and a combination of technical precision and artistic creativity. When these elements are mastered, the performances appear almost effortless and are riveting to watch. 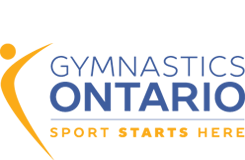 The competition program of women’s artistic gymnastics includes the vaulting table, the uneven bars, the beam, and the floor. Vault: Vault is the shortest gymnastic event, but it is the event that requires the greatest speed and power. To understand vault, imagine yourself racing at full speed down a narrow carpeted runway, propelling yourself head first from a springboard in a forward and upward direction, pushing with your arms on the vault table to rocket further into space, then twisting your body to complete a full pirouette or tucking up into a tight ball and turning a somersault before landing on your feet. Vaulting can be described as a cross between pole vaulting and springboard diving but without the pole and with very hard “water”. Vaulting requires speed, quickness and explosive power. There are 4 phases of vault: the pre-flight, support, after flight and landing. The vault table is 120 c.m. in height with a runway of 24 metres in length. Faults in execution, height, length, form, landing and technique are deducted from the difficulty rating of the vault. The overall vault should be dynamic, explosive and precise. Uneven Bars: The most spectacular of the women’s events, the uneven bars demand strength as well as concentration, courage, co-ordination, precision and split-second timing. The majority of the moves performed by the gymnast are derived from men’s high bar. A minimum number of skills, bar changes, flight elements and direction changes must be shown in a routine. A fall is an automatic deduction of .50 points. Should a gymnast fall, she may take 30 seconds to re-chalk, gain composure and seek her coaches advice. The routine on bars should be continuous swinging movements to take the gymnast under and over the bars in both directions, incorporating many grip changes, releases and re-grasps, flight elements, saltos and circle swings through the handstand position. The overall effect should be one of smoothness with no stops or starts, extra swings or additional supports between skills. A superior bar routine will be performed vigorously and will exhibit unrestricted swing, continuous movement and precise execution of tricks, all accomplished in a seemingly effortless manner, despite the considerable strength required. Balance Beam: The overall execution on the balance beam should give the impression that the gymnast is performing on the floor. The routine on the Beam requires excellent balance, flexibility, co-ordination and extreme concentration. Routines on Beam consist of dance elements, turns, pirouettes, jumps and leaps and acrobatic elements such as cartwheels, handsprings and somersaults. The gymnast must demonstrate control in all movements, from the most graceful to the most dynamic. The length of a routine can be from 30 seconds to one minute 0 seconds with rhythm being important. A slow exercise with stops before a difficult element is undesirable. A fall by a gymnast is an automatic deduction of .50 points. The gymnast will also lose points for severe lack of balance, lack of difficulty, poor execution and extended routine length. A well created, executed and performed routine should give the spectator the impression that the routine was easily done, but in all reality it is the most difficult of all the women’s events. Floor Exercise: Combining tumbling, dance and creativity, this event is perhaps the loveliest and most graceful. The floor routine is a combination of dance, tumbling and acrobatics choreographed to music. The music should complement the gymnast’s routine in every way, showing a variety in tempo and original moves, while allowing expression of one’s individual personality. Routines vary in length from 30 seconds to one minute 30 seconds and are performed on a 12m by 12m spring surface. Judges will be looking for routines which have a balance between acrobatic and gymnastic elements. The best routines will show the same level of energy from start to finish. The routine must utilize the whole floor mat without going out of bounds. Dance and tumbling ability combined with the creativity and personality of the individual performer make this event one of the most beautiful, daring and exciting athletic events.